Police have issued an all-clear message after the network’s New York offices and studios were evacuated Thursday night because of a phoned-in bomb threat. 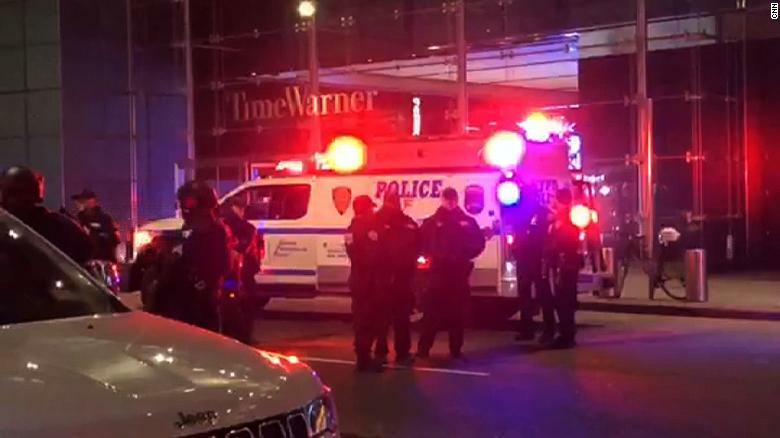 All of the employees, all the people who were in the building as we were doing our live broadcast are out of the Time Warner Center now,” he added. Numerous police and fire department trucks blocked all vehicle and pedestrian traffic on West 58th Street between 8th and 9th Avenue due to a police investigation at Columbus Circle, where the Time Warner Center is located, the New York Police Department tweeted. A bomb squad was on standby outside the building as police officers search the offices, a law enforcement source said. The network’s bureau was evacuated in October after a package with an explosive device, addressed to former CIA Director John Brennan, was discovered, officials said. Next articleWhy is Huawei so controversial and being targeted by foreign governments?